Situated in the southern part of the Golan, Gamla was built on a mountain shaped like a camel’s hump, from which it derives its name. The steep ravines precluded the need to build a wall except along the town’s eastern edge, as seen in this photo. The technical details – the photo was taken with a Nikon DSLR camera on June 1 (ISO 800, 65mm, F13 at 1/800 sec). 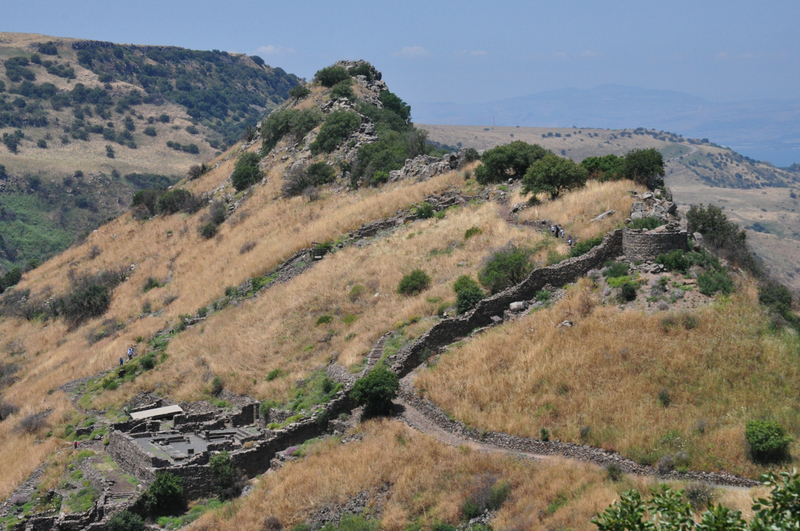 This entry was posted in Archaeology, Photography, Travel and tagged Gamla, Roman revolt on June 30, 2013 by Shmuel Browns.